After a disappointing 2015-16 season that saw the Milwaukee Panthers finish an underwhelming fifth in the Horizon League, head coach Rob Jeter was dismissed. The ripple effect saw four players request and receive their releases, allowing them to talk to other universities about potentially transferring. Three of those players decided to leave Milwaukee for other basketball programs. The only one who chose to stay was senior guard Cody Wichmann. First-year head coach LaVall Jordan is ecstatic Wichmann decided to stay and said that he’s made the transition to Milwaukee easier for him. “We have a unique relationship,” Jordan said of Wichmann. “Just talking through logistically how things were and what we did travel and meal wise. Just trying to get a really good feel for the place. He and Dan (Studer) helped a ton with the transition. Wichmann is the Panthers leading returning scorer, averaging 4.8 points and 2.0 rebounds per game as a junior last season. A dangerous 3-point shooter, Wichmann spent the off-season improving his passing, while getting stronger in the weight room. “My dad always told me if you can shoot they will find a spot for you,” Jordan said. “(Wichmann) can definitely shoot the basketball. We are working on trying to expand his game. He can pass as well. He’s a good passer, especially in the stand still reading action. Use him in some situations there. 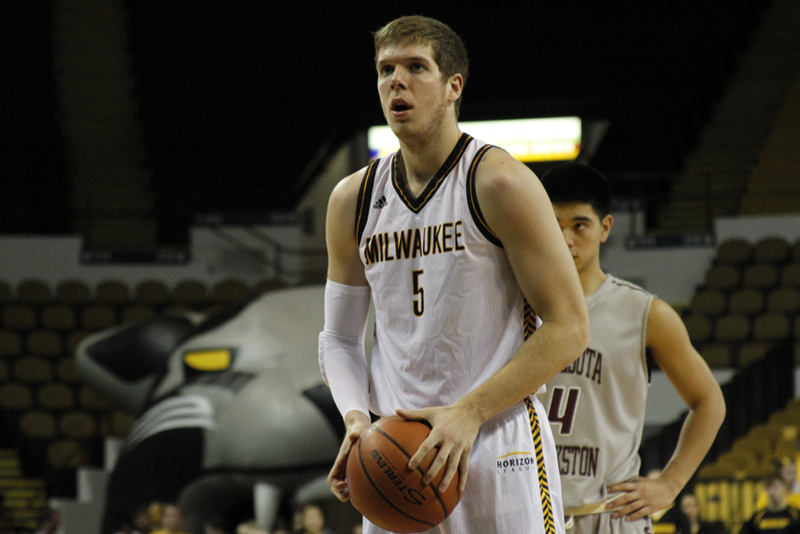 With Milwaukee losing its top five scorers to graduation or transfer, Wichmann figures to be the Panthers go-to scorer this season. He’s excited for the opportunity and said it’s not any added pressure because he’s confident in his teammates abilities. Milwaukee opens the regular season on Nov. 11 against Division III MSOE at home, but expectations aren’t high for the Panthers. Ranked last in the 10-team Horizon League, the Panthers goal is still to make the NCAA tournament. The Panthers aren’t worried about people’s expectations and are hoping to prove the doubters wrong, Wichmann said. Playing defense is key for the Panthers if they want to earn a berth into the Big Dance. In 2013-14, the Panthers were predicted to finish last in the preseason conference poll. After finishing with a 17-13 regular season record, Milwaukee went on a magical run and became the first No. 5 seed in league history to win the conference tournament, earning an automatic berth into the NCAA tournament. Wichmann was a freshman that year. Now a senior, he hopes this year’s squad can mimic a similar path and leave its own legacy.